I got an email at 5 in the morning that made me angry. It pressed every button. It accused. It threatened. It cc-ed people. It attempted to make me feel guilt. It attempted to make me feel fear. I can go on. I started to type a response and then I stopped. I’m not so great that I can always stop. Sometimes I respond. Sometimes hellfire breaks loose from the carefully constructed dams. But I’m trying to get better. We find our strength deep in the valley of our fears. Sometimes the best thing to do is: nothing. Many productivity books tell you what you can do MORE of in order to achieve goals, purpose, success money, etc. But MORE is hard to do. I’m already busy. Now you tell me I have to make a to-do list with six things that make me feel grateful on top of it? I can’t do it all. Do nothing when you’re angry. Some people think anger can focus emotions, but it doesn’t. It’s like focusing on a kaleidoscope. You’ll walk straight off a cliff. Anger is a roadmap off that cliff. You have to wait until it settles down and you get perspective. Time is the morphine drip that soothes the anger. Then you can act. Anger is just an outer reflection of inner fear. The fear might be correct, but the anger blurs it. Do nothing when you’re paranoid. I initially wrote “fear” here. But fear can focus. If you’re in the jungle and there’s a lion on your right and an apple tree on your left then you better run as fast as you can back where you came from. But often I’m not afraid, I’m paranoid. I imagine a chaotic future filled with misery and hate and homelessness and loneliness. My best bet is to sit down and picture a more realistic future, one based on the fact that almost 99 percent of what I’ve been paranoid about in the past never comes true. Do nothing when you’re anxious. Why did they call at 5 p.m. on a Friday night and say, “We HAVE to talk. Well, I guess you’re not there. Talk Monday?” Ugh! I hate that! Why 5 p.m.? What did they have to say? I should call her house line. I should write. I should drive up and visit (“Hey, just stopping by! So, uhh, what was up with that phone call?”). There is nothing that is ever so important it can’t wait. And if it was that important, then it’s a roadmap to you and not the situation. It’s an opportunity to say, “What about my life can be rearranged so that this one thing doesn’t throw me off so much? What things can I change?” And then have fun changing them. Do nothing when you’re tired. I was trying to figure out something on the computer the other day. It was both very technical and related to money. First it was 1 p.m. Then it was 6 p.m. Then, against all my rules for a “daily practice,” it was midnight. And I was no closer to figuring it out. I was tired. My eyes were blurry. I was taking ten-second naps on my computer. A week later I still haven’t figured out what I needed to figure out. But right then, because I had invested this time into my “learning” and I was tired, I wanted to keep going. My wife Claudia peeled me off the keyboard and marched me upstairs. Sleep hygiene is the best way to improve productivity in your life. Not beating your head against a computer. Do nothing when you want to be liked. How many times have I gone to a meeting? Taken a trip abroad? Made stupid investments? Written an article? Done did doing does? Just so someone would like me: a mother, a father, a friend, a reader, an investor, a customer, a stranger. Answer: a lot of times. Too many times. And it works. I put in the input (flattery, attention, false love) and get out the output (false love back). And continue to live the illusion in search of the dream, in avoidance of the nightmare, ignorant of the reality. Do I make any money this way? Do I feel a sense of accomplishment? In my 25 years of business: Never. That’s my checklist. If I feel any of these conditions occurring — like a sniffle in the night that turns into a flu by morning — then I stop. What do I do when I stop? I do nothing. I read a book. I write. I watercolor. I take a walk. I sit and do absolutely nothing. Think about when you’ve been happiest with your life (and if that’s not a reasonable goal then what is?). Is it during those moments when your thoughts have been frenetic and all over the place? Or has it been those moments when your thoughts have been calm – the depths of a peaceful ocean instead of a stormy surface. It’s when we are in touch with the magic of our silence that we find our inner creators and can change the universe. 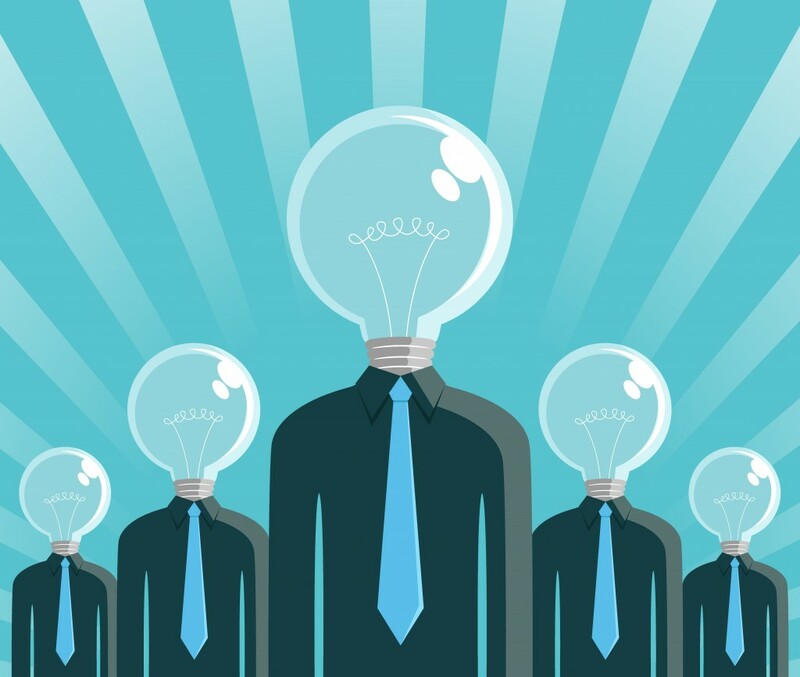 There’s an old career adage that says people don’t leave companies, they leave managers. While that conventional wisdom may be true in some cases, people actually do leave companies — especially if they aren’t given opportunities to advance their careers. At least that’s what 7,350 LinkedIn members across five countries said in an “exit survey” of professionals released Tuesday. The survey, conducted by LinkedIn, found that the No. 1 reason workers left their jobs was because they wanted greater opportunities for advancement. There are two things interesting about that finding. For one, it means many workers may not be aware of the formal programs their companies have in place to promote and retain people in-house. Another recent LinkedIn survey found that 69 percent of human resources managers in the United States said employees were well aware of such “internal mobility” programs, yet just 25 percent of the departing U.S. employees in the new survey said they knew of them. Also noteworthy is that of the respondents who stuck around and changed jobs within their companies, more than two-thirds said they found out about the job through informal chats with coworkers, such as meeting up for coffee. That’s either further evidence that employees aren’t aware of formal retention and advancement programs at their companies, or are electing not to use them. Finally, what’s also interesting is that other recent LinkedIn research found that the No. 1 reason employees (those not actively seeking a new job) said they’d be willing to head for the exits was for better compensation or benefits. That’s different than the biggest reason most actually did leave, which was to take a step up the career ladder. Meanwhile, the desire for a better relationship with one’s direct boss didn’t rank very high. Matt Grunewald, the LinkedIn research consultant who managed the study, said in an email that three times as many employees cited “lack of advancement opportunities” over “poor relationship with supervisor” as their top reason for changing employers. Though “better leadership from senior management” came in second among reasons departed employees chose to leave, a better immediate supervisor didn’t make the top five on either list. Hand shakes matter. They are an important part of our business (and personal) life. Getting it wrong can create awkward moments and distract from making a good first impression. I am sure you have all been there when we meet someone new and as part of the initial introduction we shake their hands – but instead of the solid, firm and confident hand shake we expect, we get a limp fish, a crushing gripper, or a sweaty slip. The sweaty slip – some people have a natural tendency to get sweaty hands and many get them when they are nervous, that’s just normal. It can make shaking hands tricky in stressful situations such as job interviews. However, I think there is no excuse for a wet handshake. I sometimes get sweaty hands but I simply dry them on a piece of clothing before shaking someone’s hand. The limp fish – not gripping the other person’s hand firm enough and then shaking from your wrist is a big mistake because the messages I receive about the other person doing that include: ‘I am not confident’ or ‘I am a push-over’. The pinch – when someone pinches your fingers with their fingers. This is maybe something the Queen does, but has no place in real life. Again, this half-hearted handshake sends me signals like ‘I am not bothered about shaking your hands properly’ or ‘I don’t think you deserve a proper handshake’. The hand-holder – where the person shaking your hand keeps holding on and thinks he is actually holding hands with you rather than shaking hands. After anything more than 3 shakes my natural instinct tells me to pull my hand back and say ‘let go, why are we holding hands now?’ My mind is then suddenly preoccupied with forcing myself not to pull my hand away, which means I am no longer concentrating on the introduction or anything the other person is saying. The avoider – someone that doesn’t make eye contact when they shake your hand or someone that pulls their hand away too quickly. This again signals to me that they are either under-confident, very shy, or they don’t really want to meet me or shake my hand. The crushing gripper – when you shake someone’s hand and it feels like they are crushing every single bone in your hand. A hand shake that is too firm will make anyone feel uncomfortable. It makes you think ‘is the person trying to hurt me on purpose?’ and triggers a natural ‘I need to run away’ instinct. For me, all of these show that the person shaking my hand is lacking basic social skills and emotional intelligence. It might be that people are not really aware of how they are shaking hands. The good news is, you can change it from today. Even if we try, we sometimes get it wrong. For whatever reason you might end up with an awkward grip (maybe even an unintentional pinch). Or someone shakes your hand unexpectedly when you have sweaty hands. In that situation it is best to simply say ‘sorry, don’t think that was a proper handshake – let’s try again’ or ‘sorry, my hands seem really wet, let me quickly wipe them before shaking your hand’. Always remember, you never get a second chance to make a first impression! BY KEVIN DAUM Do you feel lucky? Here’s a clear-cut approach for improving your luck today. 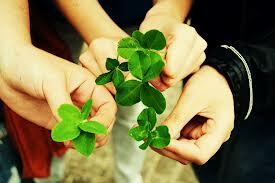 “The Luck of the Irish” is an American phrase that comes from the days of the gold rush in the 1800s. Intolerant Americans figured the Irish people weren’t smart enough to find gold, and blamed their success on being lucky rather than skilled. In reality, America’s early immigrants have time and again proven themselves to be hardworking and smart enoughto generate their own good fortune consistently. So often I have witnessed people excuse their own inadequacies by crediting the success of others to luck. 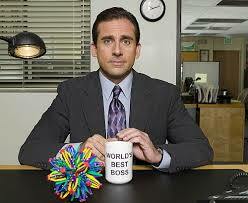 Salespeople I know disparage their more successful competitors as lucky. If those salespeople would make as many calls or work as many hours as their competitors, they would realize that their probability of closing is fairly equal. The competitors are simply swinging the bat more often. The truth is that seemingly lucky people are opportunists. They do the things that allow them to take advantage of the world around them. For them, it’s not about being in the way of good luck or bad. It’s the actions they take to get what Jim Collins refers to as a high return on luck whichever way the pendulum swings. Follow these five tips and you can be as lucky as anyone, no four-leaf clover or rabbit’s foot required. 1. Play to your strengths. So much time and energy is wasted trying to do things you probably don’t do very well. Author and Inc. columnist Lewis Schiff learned from his survey of incredibly wealthy people that they got that way by focusing only on what they do best. Everything else you can delegate, or you could find a partner to compensate for your weaknesses. That way, you will shine where you excel and attract opportunity. Good things come to those who emanate success. 2. Prepare in advance. Unlucky people often get that way because they’re reactive and unprepared for whatever comes. People who have stored food and water in their basements aren’t lucky to find themselves prepared when disaster strikes, they used forethought to make sure they had what they might need just in case. I personally scoff at this horrible recent trend of disparaging business plans because things change constantly. The point of a business plan isn’t to follow it no matter what, it’s to establish a structure for smart decision making that allows you to succeed no matter what the future might bring. 3. Start early. Some people seem to have more hours in the day. I myself don’t need more than six hours of sleep and am constantly finding ways to be more efficient. I use that extra time to start my projects well in advance. My rewards aren’t dependent upon the time of day that I take action. (This column is being written at 3 a.m.) But it does matter that I’m beginning to explore projects I expect to complete months or years from now. So many people only want to put their energy into things that provide immediate gratification. The most fortunate people I know are the ones who planted seeds early and now reap thatharvest of happiness. 4. Connect with as many people as possible. The key to success is access to opportunity. Access comes from influence. If you’re influential, people will come and bring opportunities to you. The bigger your following, the more powerful your influence. The only way to build a big following is to provide value to many people. You have to provide the sort of value that will cause people to spread your thoughts far and wide, attributing credit to you when they do. Are you creating that kind of value? If not, figure how you can. 5. Follow up. Opportunities often come and go because people don’t respond in a timely manner. I’m always amazed when people ask me for something and I respond only to never hear from them again. Three months ago, a young woman asked me if I hire interns or assistants. I replied immediately saying I’m always willing to consider hiring people who bring value to my work. I asked her how she thought she could enhance what I could do. I never heard from her again. Perhaps she now considers herself unlucky that opportunity doesn’t come her way. I believe that following up is often more powerful and impressive than the act of initiating. Negotiations are a fact of life. We constantly negotiate both in personal and professional areas of life. 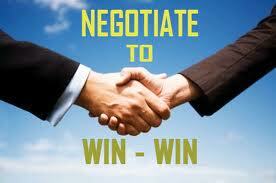 Still, many people don´t like negotiating, and as such try avoiding it. As a result it could make resolving and/or progressing problematic. Others, often success-driven managers and businesspeople, are so competitive that only “winning” would make them a great negotiator in their eyes. Causing, of course, the other person to “lose.” Helpful? Most likely not! Applying below-listed four negotiation principles and executing the outlined three-phased negotiation process will significantly increase the quality of your future negotiations. Those are the results which satisfy all stakeholders involved. They represent the basis for further business and sustainable relationships. 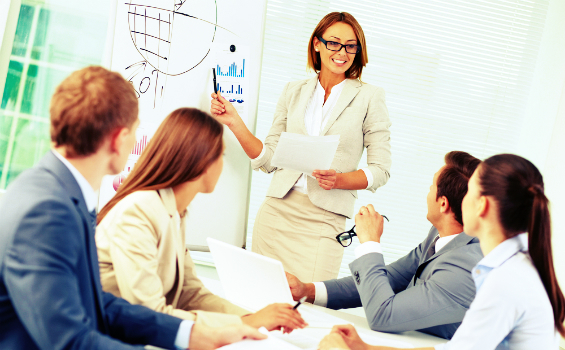 Successful negotiators look at each major aspect from multiple perspectives. They´re prepared for anything. With this in mind it´s rather impossible to fleece the other party. Honoring the other person as equal is crucial to any successful negotiation. A professional negotiation process consists of 3 stages: The preparation phase, the negotiation phase, and the follow-up phase. You need to excel in all three of them in order of becoming a master of negotiation. If you think that negotiating only starts once you meet the other party, then most likely you´ll not chalk up the best possible outcome: “By failing to prepare, you are preparing to fail.” (Benjamin Franklin). In this very first phase define your negotiation targets, strategy and objective criteria based on which you later measure the achieved agreement. Be clear about your alternatives and fall back positions; also known as BATNA: Best Alternative To Negotiated Agreement. Crucial to collect all accessible information about the other party and your negotiation counterparts: What are their objectives and potential strategy, what might be their perspective, their motivations, and their opinion on relevant topics? Which is their interest and their reservation price (i.e. when would they walk away)? During the opening phase of the negotiation stage listen well and frequently ask (open-ended) questions. As a rule of thumb you should listen more than you talk. Use silence as a tactic and mimic your opponent. Sooner or later they will talk. Try to detect commonalitiesrather than differences to generate mutual engagement and to establish a first basis of trust. In general it is essential to separate the people from the issue. Don´t take things personal. Many people consider negotiations as a kind of game. So, stay relaxed and enjoy playing the game! When you´re about to start the actual negotiation be brave and bring forward the first proposal. Why should you do that? The opening offer always serves as a reference point. It´s what I call an “unconscious anchor.“ In other words: If you’re selling, be first and start the bidding high. And if you’re buying, start the bidding low. Often it might be appropriate making two to three equivalent, simultaneous offers. This shows that you understand and respect the other position and possible concerns. Even more importantly, it creates a variety of options and helps avoiding cornering the other side. You should ask for more than what you´re actually looking for. That gives you flexibility and room to maneuver. Don´t be afraid to give in first. It´s an excellent opportunity to inject an additional layer of trust. When doing it in a pro-active manner you should be able choosing something which has significant meaning to the other party and is of low cost to you. Usually whenever you give you should also take. Every concession you make should involve a trade-off of some kind. By doing so focus on interests rather than positions. Experienced negotiators are creative solution seekers, they enjoy thinking outside of the box, and they constantly look for ways to broaden the pie instead of haggling over every little detail. However, they also stand their ground, if the other party is not willing to move or if they were to become (too) aggressive. Temporary confrontations are a normal and stimulating ingredient of serious negotiations. That´s life. Consequently good negotiators take their time and let things cool off. They are not in a hurry to close the deal. And – when push comes to shove – they might walk away as they know that reaching no deal is better than a bad deal. After you have closed the deal there is still some final – and very important – work to be taken care of. Write and send out the first draft of the minutes to the other party withing 24 hours after the negotiations have finished. Ask the other side for their input and feedback to your minutes and get them finalized by latest 3 days after having agreed on the deal. Minutes should be as short and as clear as possible. They contain what was agreed upon, and list what has to be executed by when and by whom. Finally, you need to walk your talk, i.e. you must stick to the agreed points and make sure that the other party will do so as well. 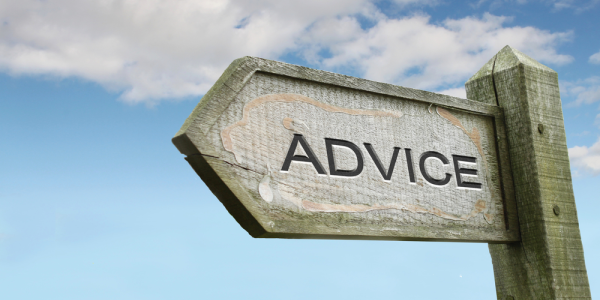 Final advice: Try to conduct important negotiations in a face-to-face setting. Sure, an excellent preparation, a clear negotiation strategy, and profound knowledge of key negotiation tactics are required to negotiate well. Of paramount importance, however, is the personality of the negotiator. And that´s delivered and reflected best when you can directly look in each others´eyes. – By Andreas von der Heydt who is the Country Manager of Amazon BuyVIP in Germany.